new Cliffe book on Amazon! Why is Cliffe hard on America? Cliffe wonders sometimes why God withholds his judgment against America. I assume Cliffe feels that the moral fabric of the United States has deteriorated significantly in the last several decades, and that God may soon remove His protective hand over America. I understand this point, and I also agree that in many ways America seems to be in moral decline. I do however believe we romanticize earlier times in America perhaps too much. It wasn’t all Norman Rockwell. We think of the manners we had, we think of the chivalry, we think of the general God-fearing we had. But what about the sexism? What about the racism? Both were arguably worse in the past. And what about the wanton violence in the Prohibition era and the Wild West? The truth is, if God judges or protects nations based on their goodness, wouldn’t America still today be near the end of the line among the 200+ nations to be judged? What about all the nations where believing in the name of Jesus as Lord is persecuted or even outlawed? 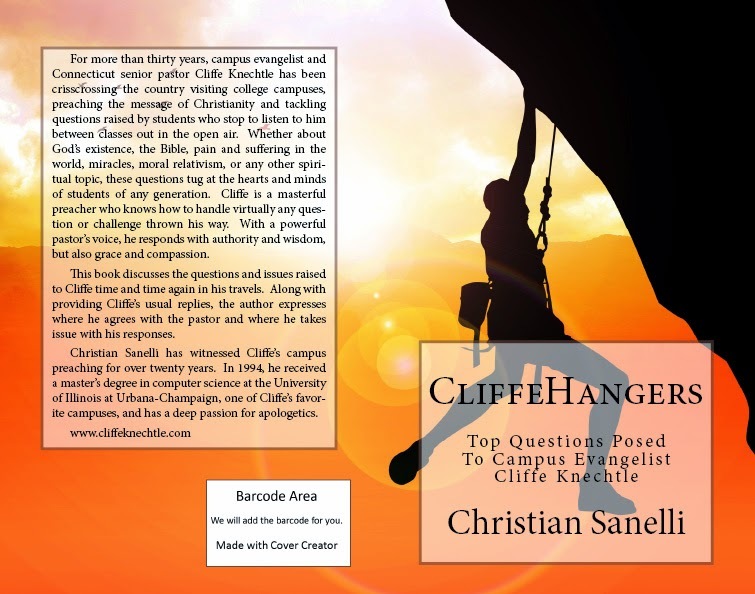 I have written a little book about Cliffe Knechtle and his college ministry. It will be published soon. If you would like to receive an email when the book comes out, just send a note to me at cliffefan@yahoo.com. Cliffe at UT Austin this week! It's that time of year again! Cliffe descends on the University of Texas at Austin this week! Come out to the West Mall each day (November 18-22) beginning at noon to see Cliffe answer questions from students on Christianity and God. Cliffe at the University of Arizona! Cliffe will be doing his Christianity Q&A thing again this week - this time at the University of Arizona in Tucson. Monday, October 21 through Thursday, October 24. Come out each day beginning around noon. 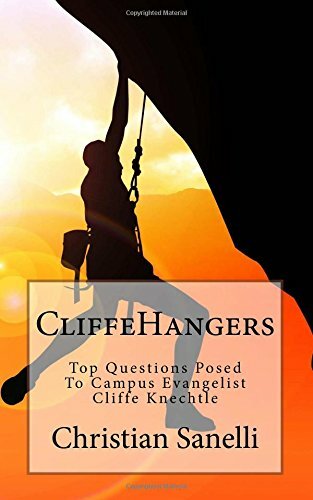 Ask him questions, challenge him, or just listen to others' questions and Cliffe's answers. Cliffe at Texas State now! Cliffe is speaking at Texas State University in San Marcos this week, Monday - Thursday, probably from noon until 3-5pm. If you're in the area, please check him out. Also, please drop me a line at cliffefan@yahoo.com and let me know what was discussed. Thanks!